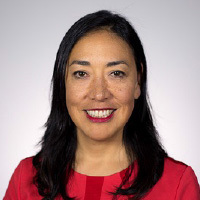 As a Portfolio Specialist for SkyView Investment Advisors, Deborah ("Debbie") Atuk focuses on serving the needs of all clients including the unique needs of Alaska Native and Native American clients who seek to preserve and grow the collective wealth of indigenous America through prudent investment strategies. Prior to joining SkyView Investment Advisors, Ms. Atuk served as Treasurer for the Eastern Band of Cherokee Indians in Cherokee, NC and business director for the Colville Tribal Federal Corporation in Coulee Dam, Washington. She owned and operated The Bergen Files, LLC, an independent film production and film consulting company. Other experience includes president and CEO of OmniVidia, and investment banking analyst for SG Cowen and ABN AMRO Incorporated. Ms. Atuk earned an MBA at the Tuck School of Business at Dartmouth College and her BA in Economics at the University of Chicago. She served as a Board Member & Development Committee Chair for The Family Center in New York, NY. Debbie has had the great privilege of serving as President of the Native American Alumni Association of Dartmouth College for which she received the Dartmouth Young Alumni Distinguished Service Award in 2014-2015.